iPRES – the International Conference on Digital Preservation – is the premier and longest-running conference series on digital preservation. The 15th anniversary of the conference series will take place in Boston/Cambridge, MA, USA September 24-27 2018 and is co-hosted by MIT and Harvard. While the CfP for paper and poster submissions is closed, this year’s iPRES also welcomes non-peer reviewed submissions for ad hoc programming sessions in form of original graphics, lightning talks and digital preservation games! This blog post is a short interview with Nance McGovern and Mo Pennock, co-organizers of the conference, shedding some light on the all new ‘ad-hoc submissions’ category! Original graphics, digital preservation games and lightning talks – this year’s iPRES offers exciting submissions categories beyond the traditional paper and poster submissions. What brought the idea for the non-peer reviewed categories? This year we’re celebrating fifteen years of iPRES conferences. We’re taking this opportunity to look back and learn as we move forwards, and we want to do that in lots of different ways. The theme for iPRES 2018 – ‘where art and science meet: the art in science and the science in art’ – aims to broaden the voices and approaches participating in the conference. In discussions with the rest of the organizing team we realized that one of the most valuable things we could do was seek contributions of a different kind than you would normally find at iPRES. iPRES has always been a primarily peer-reviewed conference, and we know that it can be hard for newcomers and early professionals to have a voice amidst a sea of professionals experienced at submitting – and having accepted – peer reviewed proposals. So that’s where the idea of a non-peer-reviewed set of contributions was born. And not only are they not peer reviewed, they’re also an opportunity to showcase a different element of digital preservation than we might usually see. It’s not all about writing papers! Original graphics and games are two really important elements of our culture that are starting to be represented in digital preservation too, and we really wanted to give emerging voices in those areas a voice at this year’s conference. It’s all about opportunity, inclusivity and creativity, and finding new and different ways to engage and broaden the discussion. The digital preservation community is full of images which shape our work – like the OAIS diagram, the DCC lifecycle model or Nancy’s own three-legged stool diagram for digital preservation. What is an example of a graphic – digital preservation related or not – which has influenced and shaped the way you both look at things? Well, there’s a reason we see the OAIS functional model turning up so often – it’s just an effective and really clear way of communicating the main functions of an archival information system. As diagrams go it’s really to the point – straightforward, uncluttered, and easy to see what goes where. It’s facilitated countless conversations with non-digital preservation colleagues at our respective institutions over the years, to make sure we’re all on the same page when it comes to understanding the scope of an OAIS and what it seeks to achieve. Of course, understanding the terminology used in the OAIS reference model can still be challenging, but the diagram at least helps to get that conversation started. We’re seeing some really exciting new imagery coming in as part of the Ad Hoc category this year and are looking forward to providing a forum to share it and enable feedback. As part of its ad hoc programming, this year’s iPRES will feature the first ever digital preservation game room! The nerd in me envisions this gaming den, where I can hang out with old friends and meet new people while test driving games and discussing them. Can you already share some info about the gaming room? So, we’re really excited about the first digital preservation gaming room! We’re running all of the ‘Ad Hoc’ sessions in a lounge area up on the second floor of the conference venue, away from the more formal peer reviewed sessions on the lower floors. The space came with our use of the conference venue and presented an opportunity to supplement the program. The ad hoc program sessions do not take the place of any peer reviewed session content. The space lends itself to more freeform sessions and would not work well for more formal and extended presentations. We want to have some fun with it. 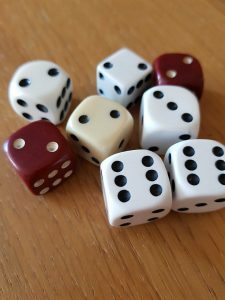 The game room won’t be open all of the time because the lounge will also be used for other Ad Hoc sessions, but we will have two dedicated gaming sessions – one on the Wednesday afternoon and one on the Thursday morning, for an hour and a half each time. We’ve had some really creative submissions already, not just board games but also card games, with some great looking illustrations and keenly considered gameplay! It’s going to be a fun opportunity to engage with other attendees in a social setting whilst exploring digital preservation issues and concepts in new and exciting ways. 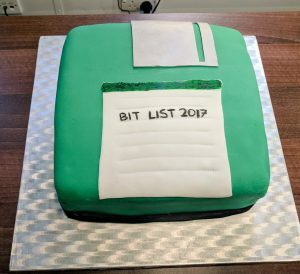 The digital preservation and curation communities are filled with so much creativity – ranging from the famous DigiMan videos produced by Digital Preservation Europe back in the day to digital preservation themed cakes to celebrate the first World Digital Preservation Day in 2017. What kind of submissions are you looking for in the ad hoc programming? Can games be analogue as well as digital? Can graphics be hand-drawn, digital or even stitched? Can lightning talks present ideas as well as projects? There are three types of submissions in the Ad Hoc category: lightning talks, original graphics, and games. It’s really up to the individual submitters to determine what they want to present within those categories and how – be creative, be in spiring, be inclusive! It’s an open door invitation and it’s fascinating to see the different directions that people might want to take. All submissions are reviewed by a small panel in the organising committee to ensure that they align with the call for papers and appropriate to the Ad Hoc track that they are applying to. Lightning talks can absolutely present new ideas as well as projects, and artists can definitely present their art work in the original graphics section as well as in digital preservation games. We draw the line at drinking games but board games, card games, computer games, audio games, paper games – if you think it’s a reasonable proposal, let us know and we’ll see what we can do! This all sounds very exciting! How and until when can people submit their graphics, games and lightning talks? We’ve kept the submission process for these as lightweight as possible – all you have to do is outline your proposal as requested at https://ipres2018.org/ad-hoc-programming and email a copy of your outline to ipres2018contributions@gmail.com . Reviews are ongoing until all slots are allocated or until August 31st, whichever comes first, so don’t leave it too late to apply!